If you have been living under a rock, like have for the last month, you might have missed that Michell Plested and I have released a new book. 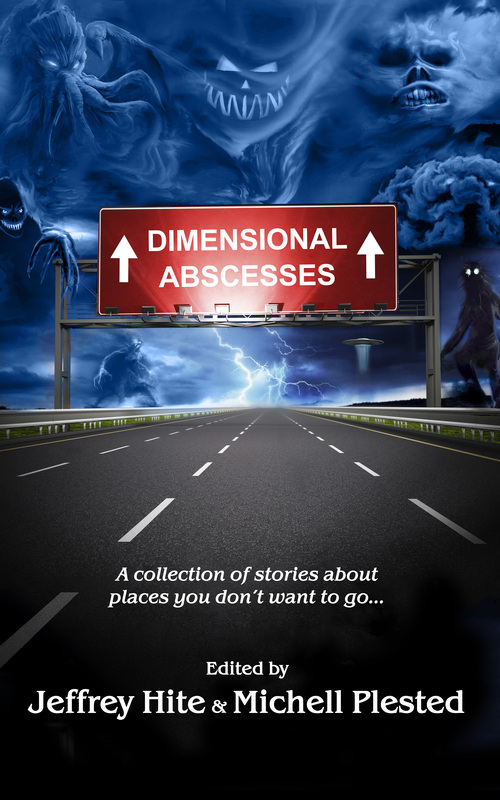 Dimensional Abscesses is a collection of short stories about places you don’t want to go. The stories range from time travel, to other planets, to hell and back, and of course down on the farm. I am giving away 5 Ebook copies of Dimensional Abscesses: Portals to Places You Don’t Want To Go. What do you have to win? Simple. Leave a comment below before June 5th, with a place (real or fictional) you would not want to go and I will pick my 5 favorites. And of course sharing the contest with your friends will make it more fun. So please, Tweet, Post and Plus it to your heart’s desire. Reblogged this on evil alter ego press.